Charles Heidsieck, the fashion house founded by the legendary Champagne Charlie, offers champagne very rich and round and this vintage is no exception. It shows a yellow rather heavy, very small bubbles, but not very many go up to the rim of the glass in small chains. The nose is seductive and sweet. The palate is dense, with a texture quite complex. Very balanced with acidity unobtrusive and with a long finish of hazelnut and tangerine. Pleasant drunk alone, excellent as an aperitif, served at the table with dishes not too fat. The bottle I tasted was disgorgement with 2014, in my opinion would have benefited from another year of waiting to make it even more intense and complex wine. 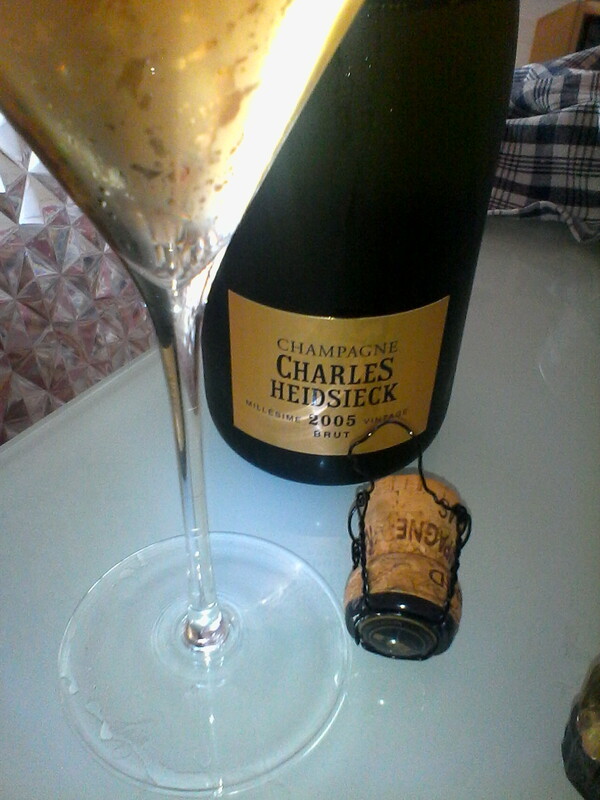 For those who love champagne rich and structured this Champagne Charles Heisieck brut millesime 2005 is a good choice. Personally I prefer a fresher, vote 85/100.